Steve has been working with horses for over 30 years and has trained with some of the world’s most respected horsemen. He was an Equitana “Way of the Horse” contender in 2010 and one of the six trainers to work with a Wild Waler in Equitana’s “Waler Legacy” in 2013. His special personal interest is the Vaquero tradition and the Light Hands Dressage. Steve currently teaches in Australia, NZ, UK and Germany. He starts and trains horses at the Silversand Horsemanship Centre. Dave Mellor David has been a student of Natural Horsemanship since he was 15 years old. He is currently the first official Australian Silversand Instructor. He and his wife run the second Study Centre in central Victoria. David hosts regular clinics, workshops and private lessons throughout Victoria. His goal is helping horse lovers become Horseman. Andrew Turnbull is a committed student of the horse and works with an open heart, seeking that ultimate connection and feel that lies beyond words. 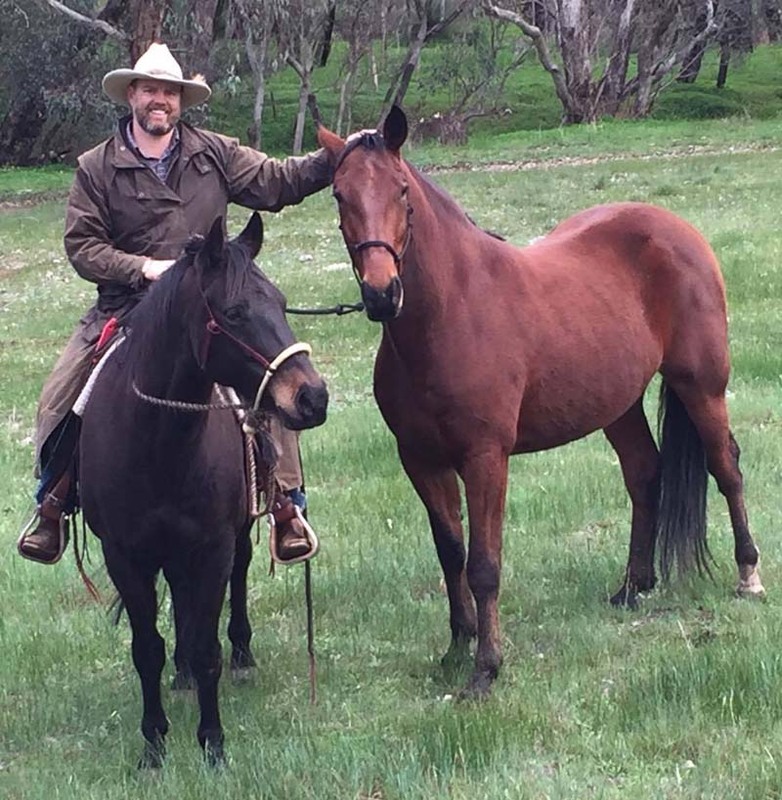 Through a deep desire to improve horse welfare, Andrew’s goal is to share his knowledge and insights of horsemanship with people who are seeking a deeper, softer connection with their horses. Andrew is based in Western Australia and is available for lessons, training and clinics. Craig is our most recent addition to our instructor team. Annemarie is our only instructor in Holland. She has visited our centre in Australia several times for training and has starting young horses. Annemarie likes to help people with their horsemanship and is available for lessons in groundwork and riding, training and trailer loading'. Specialising in Young horse starting, Coaching and Problem horses. Tanja came out to our Centre in 2003 and has been back many times since. Tanja has started horses with Steve over the years and is an enthusiastic student and teacher of good horsemanship. My goal is to build a relationship based on partnership between horse and rider and to start my work based on their horsemanship level. I enjoy sharing my knowledge and horse handling skills with other people in order to help them also improve on the wonderful journey with their horses. Isabell lives in Gross Umstadt (Germany) on her parents property with an agistment centre and about 50 horses. Isabell is the newest member of our German team and is busy teaching students and helping them with their horsemanship. She has been to Australia several times to spend time with Steve developing her horsemanship. Monika spent time riding stunt horses and has also spent time with Steve in Australia. Monika teaches private lessons in Warsaw area as well as courses all around Poland. She starts young horses and helps in problem solving. We are happy to have Monika representing us in Poland along with Justyna Mitka our associate in Cracow.